How do others see your company. Are they greeted with a stark unfriendly office environment? Or do they enter an area that represents a positive, happy and uplifting space that projects your company image. 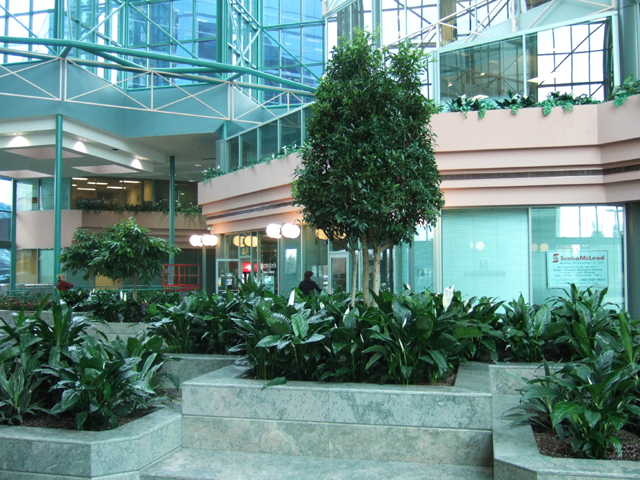 Plants bring the benefits of the natural environment into enclosed spaces. Healthy vibrant plants can promote a feeling of well being. A feeling that you care about the happiness and health of your employees and their surroundings. What better way to liven up a mundane office interior than with the introduction of live tropical plants as part of your office décor? An article published by “The Guardian” states that studies suggest that “minimalist offices produce miserable employees because ‘sometimes less is just less’ and shows us that visually just seeing a plant has a positive psychological effect on your happiness!